The Court of Protection makes decisions on financial or welfare matters for people who can’t make decisions at the time they need to be made (they ‘lack mental capacity’). 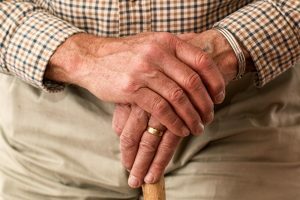 Our experts Court of Protection Solicitors in Leicester, Blaby, Coalville, Syston and Market Harborough have written the following case study showing what happens if you do not have a Lasting Power of Attorney (LPA) in place. Mr and Mrs X were married and owned a house as joint tenants meaning that on either death the house would pass automatically to the survivor. Mrs X had lost mental capacity and was in a care home which was funded by the couple’s savings and an equity release that they had taken out on the property. Mr X became ill and wasn’t given long to live and had telephoned the office to instruct me to call out to the property and make him a Will. It was decided that we would sever the joint tenancy on the property so that in the event of him dying before his wife (which seemed likely) his share of the property would go to his children and grandchildren and not to his wife. Although we had managed to protect Mr X’s half share in the property the problem arose when he did die. Mrs X didn’t’ have a Lasting Power of Attorney nor did she have the capacity to make one by the time I was involved in the matter. We therefore had to apply to the Court of Protection to appoint the daughters as Deputies and Trustees for Sale to enable the property to be sold. This process is lengthily and relatively expensive (compared to having an LPA) and although a buyer for the property had been found relatively quickly waiting for the Order from the Court delayed matters quite substantially and the family were worried about losing the buyer. To add to the matter Mrs X’s care home fees were starting to mount and the family needed to liquidise her half share in the property as soon as possible, but without the Order for Sale were unable to. Due to the time taken in obtaining the Court Order the care home eventually agreed to a deferred payment and placed a charge on the property. Furthermore the equity release that the couple had taken out was accruing daily interest at an astronomical rate. Eventually the Order was made and the property was sold. The family are now all too aware of the importance of having a Lasting Power of Attorney being in place which would have saved a lot of time, expense and frustration. If Mrs X had put in place a Lasting Power of Attorney during her lifetime and whilst she had mental capacity this scenario could all have been avoided. People often think it won’t happen to them but with the ageing population and the increase in illnesses such as Alzheimers and Dementia, Lasting Powers of Attorney are becoming more important. Have you considered what would happen if you suffered from a physical illness as a result of an accident or a heart attack/stroke for example which left you partially paralysed? That may mean that you could no longer live independently and do the simple day to day things, or if you lost your ability to sign cheques. It is extremely important to have a Power of Attorney in place in the unfortunate event of you being unable to manage your own finances or your own health and welfare in the future. It is also important to realise that you cannot put off making an LPA “until the time comes”, as you need to have the mental capacity to make one. If you wish to discuss make Lasting Powers of Attorney in more detail then please do not hesitate to contact our Wills and Probate Solicitors.